This is a new idea for us. 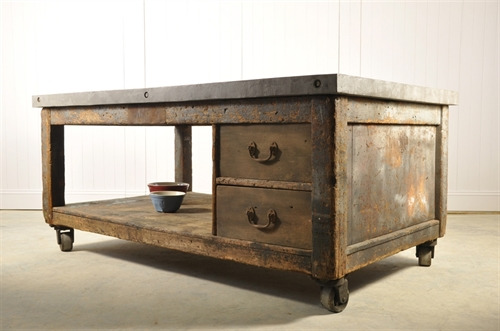 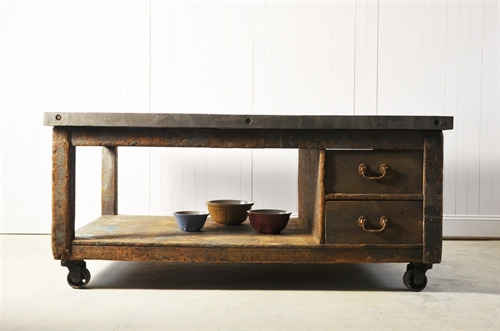 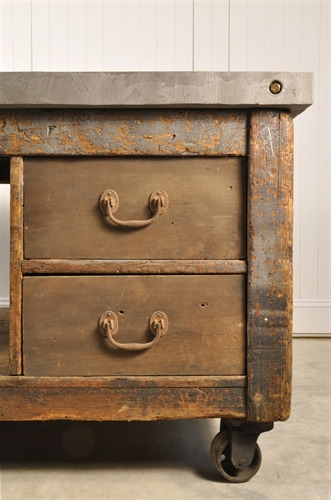 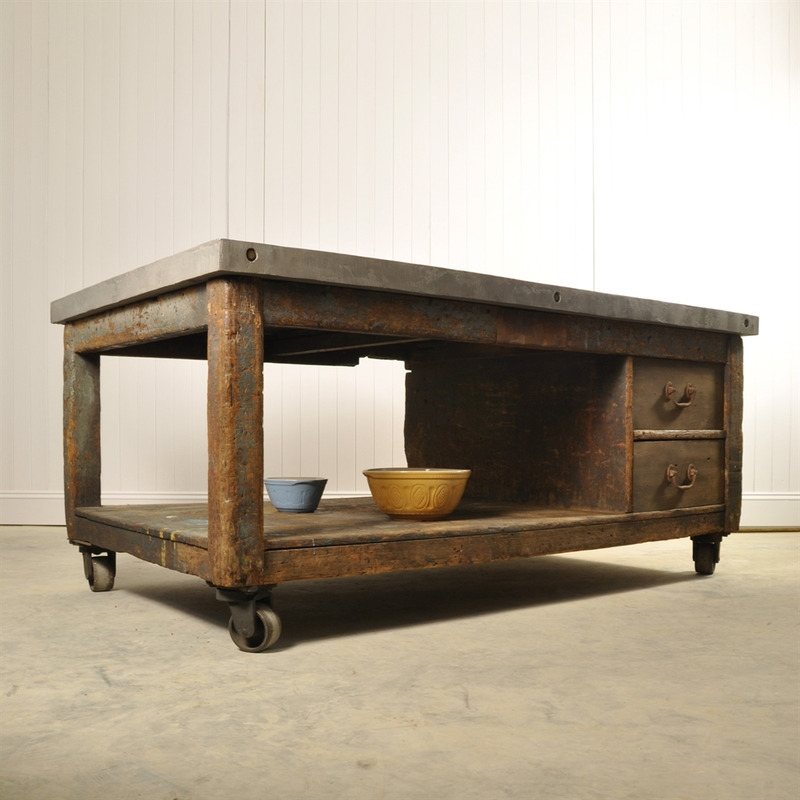 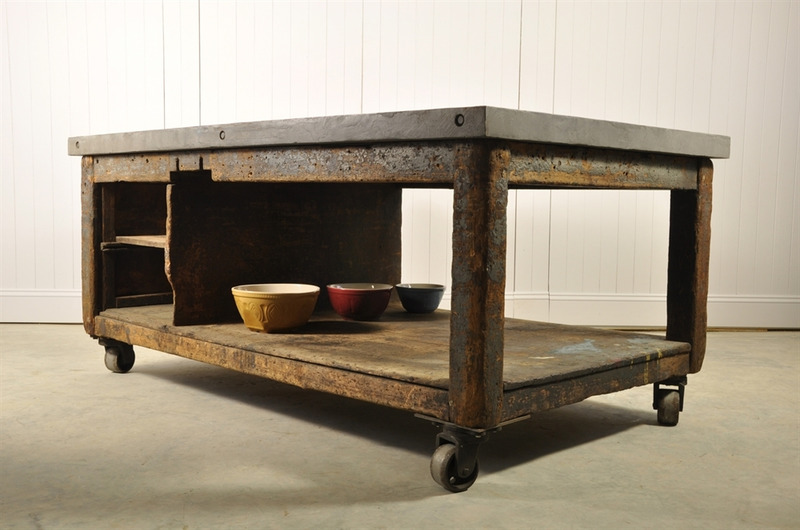 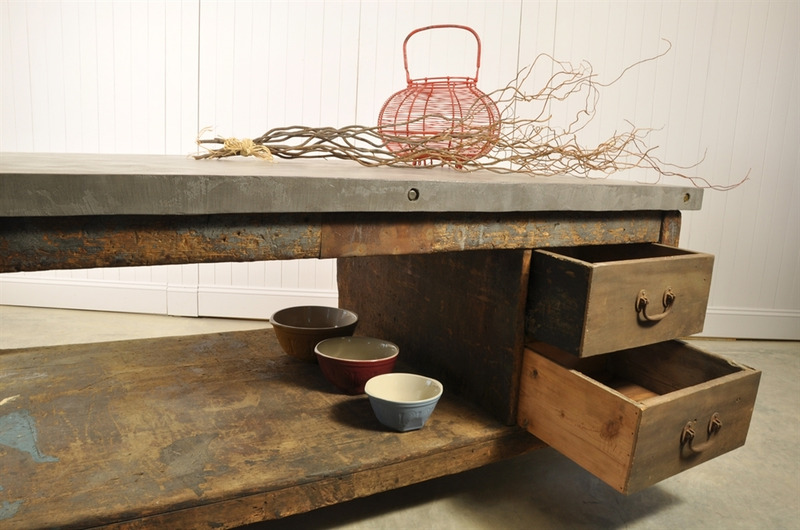 Taking an English vintage industrial workbench on castors with plenty of wear and natural patina, that only years of use can create, and adding a contemporary work surface. The idea is that the top looks like a huge slab of polished concrete. 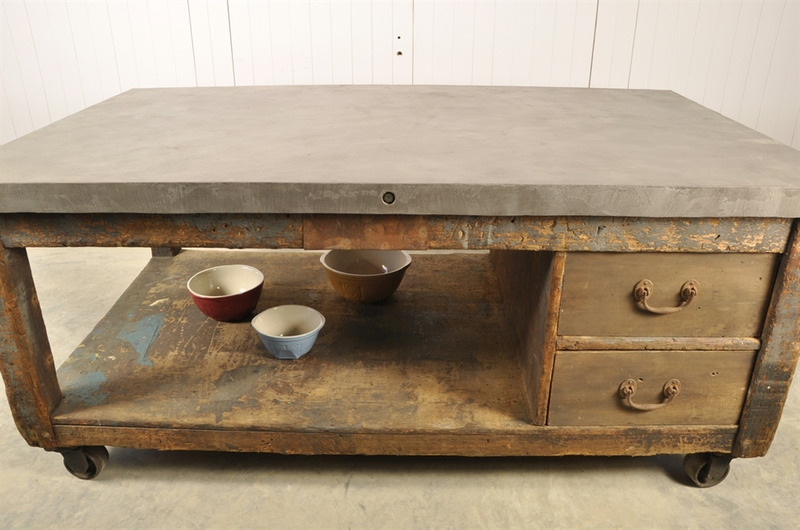 What we have used is a French process called Beton Cire, where micro cement is mixed with a resin and sealed. 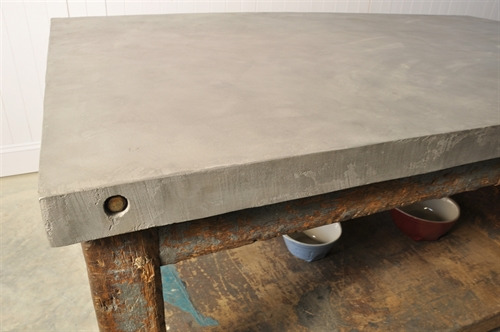 This produces a 5 mm thick extremely hard wearing worktop. 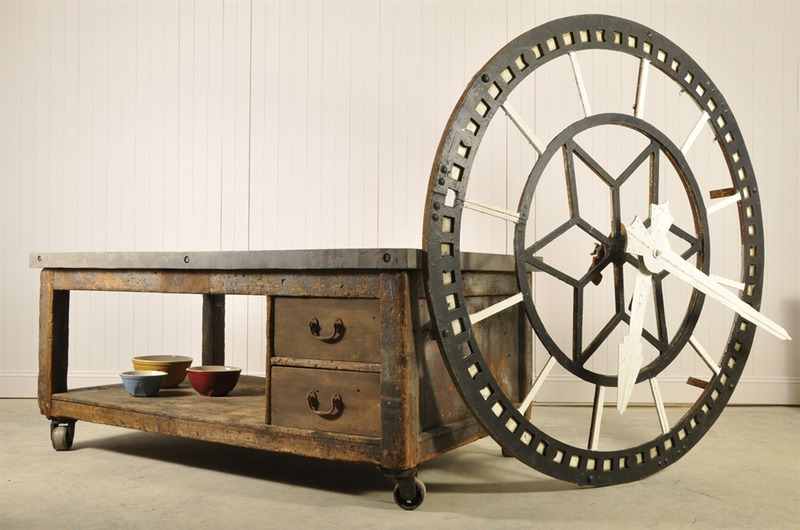 We are really excited that this piece of furniture on its own, creates a perfect contrast between old and new, textures, colours and styles. 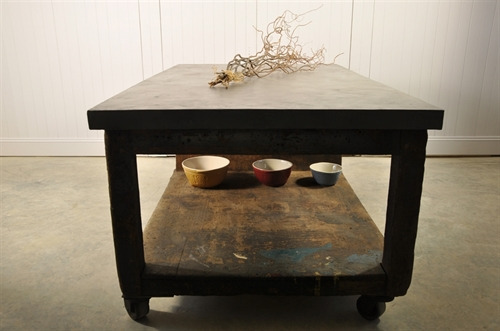 89.5 cm h x 200 w x 118.5 d.